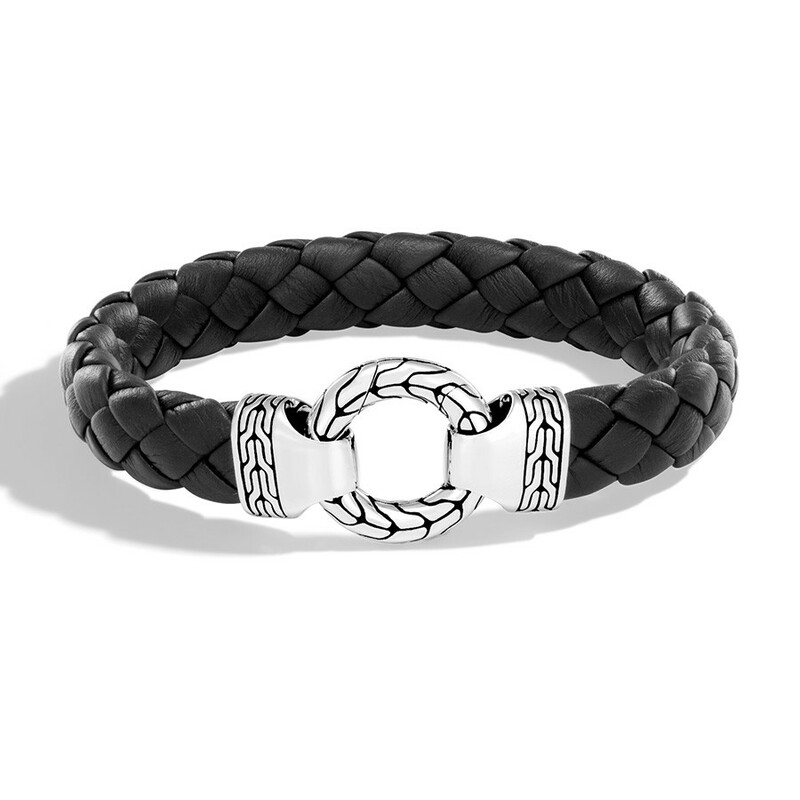 In a nod to the Classic Chain collection, this John Hardy bracelet features the signature chain motif on the round sterling silver clasp and accents. The woven leather band and silver pieces are patterned after ancient jewelry making techniques. Make this unique bracelet your own and enjoy it for years to come.